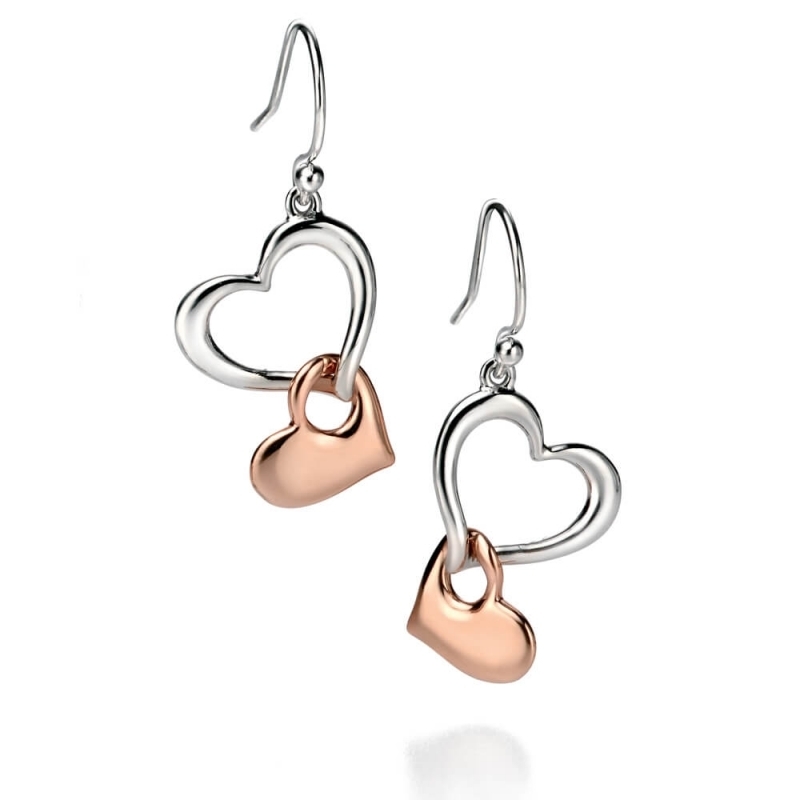 Fiorelli Silver and Rose Gold Heart Earrings E4861. Two tone interlocking heart drop earrings. The smaller rose gold plated heart hangs from the larger Rhodium plated silver heart and can move freely.